Anyone who has been in math classes knows those corny worksheets with a joke on them. When you answer the questions, the solution to the (hilarious) joke is revealed. Did I mention these worksheets are corny? But when you get to Calculus or higher math classes, you get nostalgic for those old pre-algebra worksheets your middle school teacher gave you. I think I speak for all of us when I say this. Not to fear, here’s a very corny joke worksheet I made just for your Calculus students. Print this on orange paper and hand it out on Halloween. When kids successfully solve the problems and discover the solution, give them candy. PS: I normally use my blog to share deep insights about math education or to discuss interesting higher level mathematics. But I was inspired to share more of my day-to-day activities and worksheets because of Rebecka Peterson at Epsilon-Delta. She has shared some great resources, which I’ve stolen in used in my classroom. Thanks, Rebecka! In the following article, I expand and clarify my arguments that first appeared in this post. A colleague recently sent me another article (thanks Doug) claiming that Statistics should replace Calculus as the most important math class for high school students. The argument usually goes: Most kids won’t use Calculus. Statistics is more useful. As you might know already, I disagree that the most important reason for teaching math is because it is useful. I don’t disagree that math is useful. Math is not just useful, but essential for STEM careers. So “usefulness” is certainly one reason for teaching math. But I don’t think it’s the most important reason for teaching math. The most important reason for teaching math is because it is beautiful and eternal. Math is the single place in school where students can find deductive certainty and eternal truth. Even when human activity ceases, math will persist. 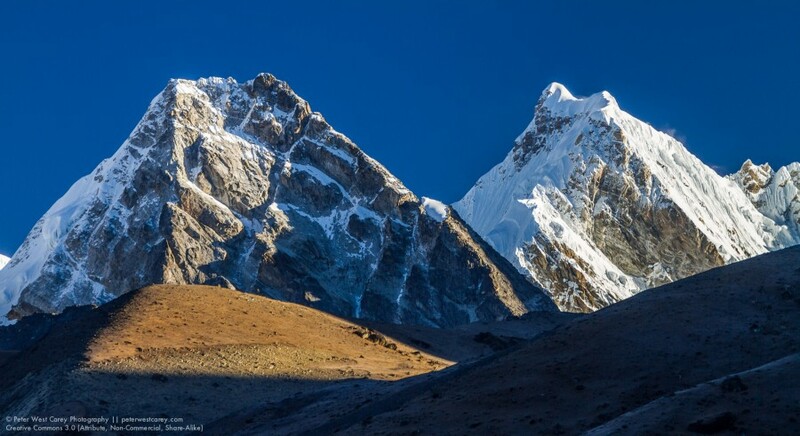 When we study math, we tap into something bigger than ourselves. We taste the divine! We are teaching students to think deductively—like a mathematician would. This is such an important area of knowledge for students to explore. They need to know what it means to prove something. A proof provides a kind of truth that is unattainable in other subjects, even the hard sciences. At best, the scientific method is still just guesses compared to math. This is the most important thing we pass on to our students. Though some will, most of our students will not directly use the math we teach. This is actually true about every subject in high school. Most students will not remember the details of The Great Gatsby or remember the chemical formula for Ammonium Nitrate. But we do hope they learn the bigger skills: analyzing text and thinking scientifically. In math, the “bigger skills” are the ones I outlined above—proof, logic, reasoning, argumentation, problem solving. They can always look up the formulas. Math is a subject that stands on its own and it is not the servant of other subjects. If we treat math as simply a subject that serves other subjects by providing useful formulas, we turn math into magic. We don’t need to defend math in this way. It stands on its own! If students can take both Statistics and Calculus, that is ideal. But if I had to choose one, I would pick Calculus. The development of “the Calculus” is one of the great achievements of mankind and it’s a real crime to go through life never having been exposed to it. 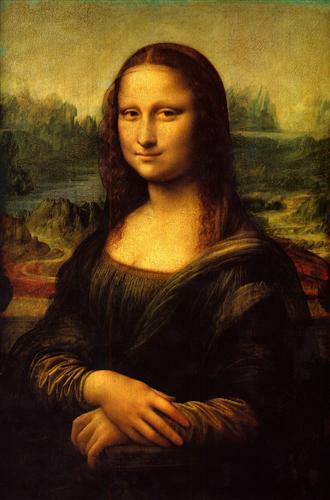 Can you imagine never having seen The Mona Lisa? Calculus is like the Mona Lisa of mathematics :-). 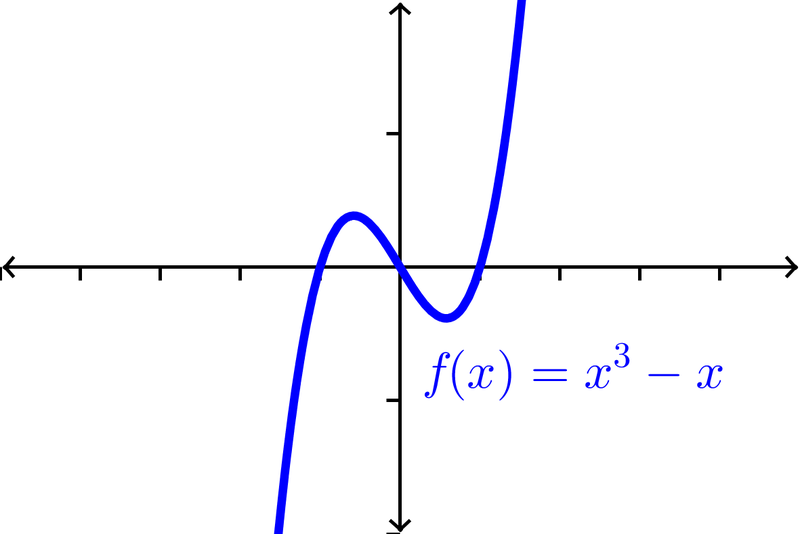 A point where the graph of a function has a tangent line and where the concavity changes is a point of inflection. No debate about there being an inflection point at x=0 on this graph. There’s no debate about functions like , which has an unambiguous inflection point at . The original function has to be continuous at . That is, does not have a point of inflection at even though there’s a concavity change because isn’t even defined here. If we then piecewise-define so that it carries the same values except at for which we define , we still don’t consider this a point of inflection because of the lack of continuity. 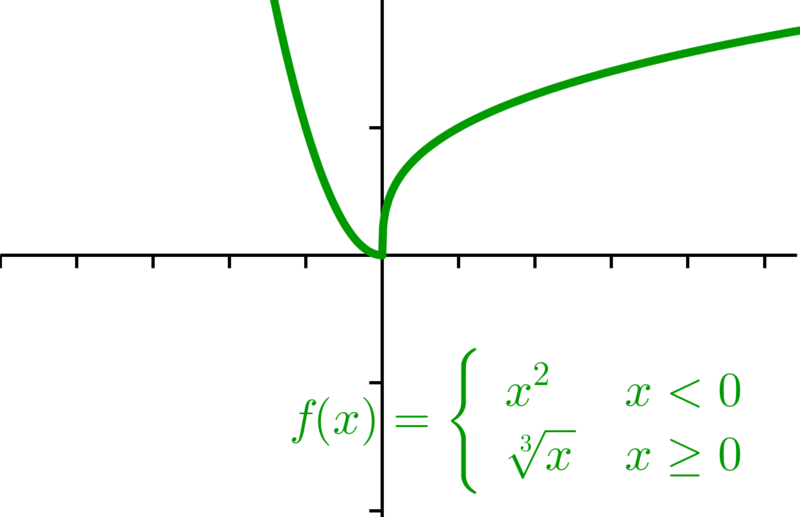 The point of inflection x=0 is at a location without a first derivative. A “tangent line” still exists, however. But the part of the definition that requires to have a tangent line is problematic, in my opinion. I know why they say it this way, of course. They want to capture functions that have a concavity change across a vertical tangent line, such as . Here we have a concavity change (concave up to concave down) across and there is a tangent line ( ) but is undefined. Is x=0 a point of inflection? Some definitions say no, because no tangent line exists. So It’s clear that this definition is built to include vertical tangents. It’s also obvious that the definition is built in such a way as to exclude cusps and corners. Why? What’s wrong with a cusp or corner being a point of inflection? I would claim that the piecewise-defined function shown above has a point of inflection at even though no tangent line exists here. 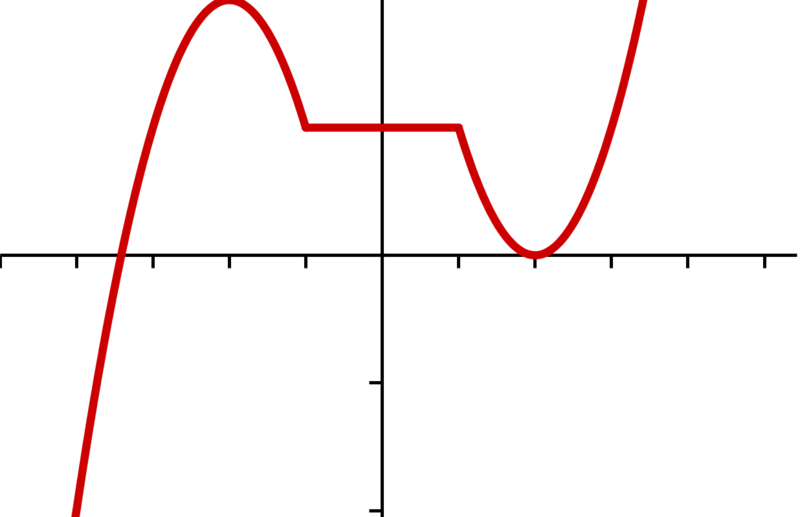 A point where the graph of a function is continuous and where the concavity changes is a point of inflection. That is, I would only require the two conditions listed at the beginning of this post. What do you think? Once you’re done thinking about that, consider this strange example that has no point of inflection even though there’s a concavity change. As my colleague Matt suggests, could we consider this a region of inflection? Now we’re just being silly, right? * When we say that a function is concave up or down on a certain interval, we actually mean or for the whole interval except at finitely many locations. 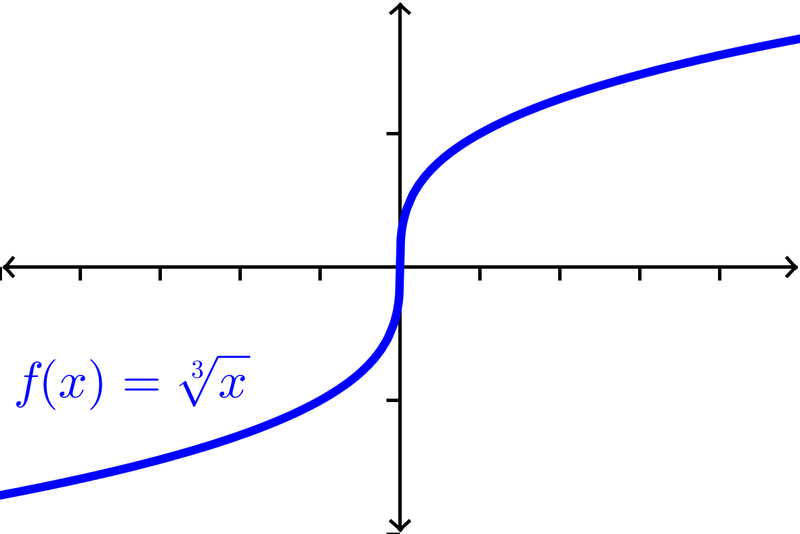 If there are point discontinuities, we still consider the interval to have the same concavity. ** This source, interestingly, seems to require differentiability at the point. I think most of us would agree this is too strong a requirement, right?